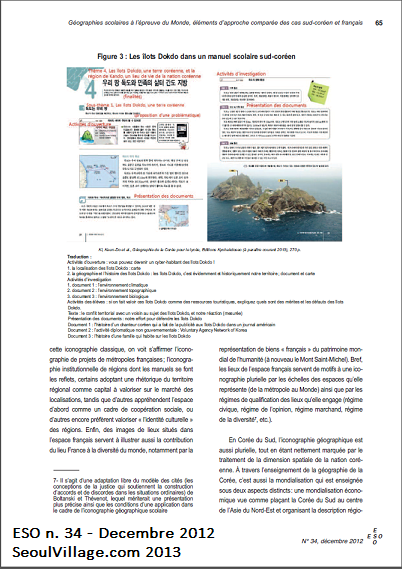 A Yonhap article* almost made me believe for a moment that the CNRS (Centre National de Recherche Scientifique), my country's most prestigious research center, had validated the facts that Japan distorts history and that Dokdo is Korean, but after reading the report the truth is more subtle. 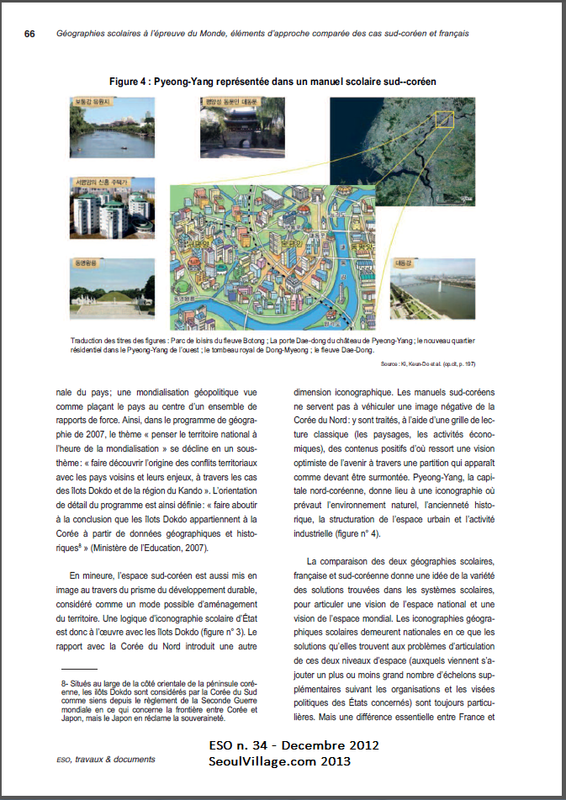 The article "Géographies scolaires à l’épreuve du Monde, éléments d’approche comparée des cas sud-coréen et français" ("School geography confronted to the World, elements of comparative approach to the South Korean and French cases") was published in december 2012 in ESO #34, the publication of ESO. 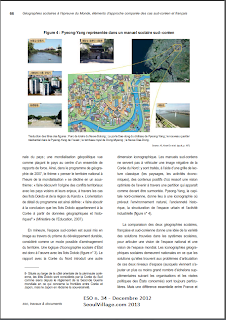 Espaces et SOciétés - UMR 6590 is a Unite Mixte de Recherche (a research unit pooling university and CNRS ressources) that focuses on the spatial dimension of societies (coupling architecture, geography and urbanism with sociology, environmental psychology...) - typically seoulvillage-friendly subjects! 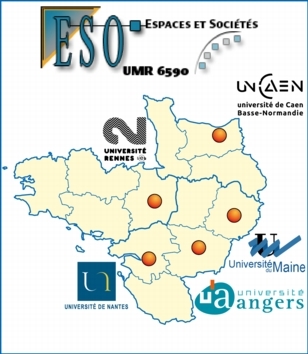 The article is signed by Saangkyun YI and Jean-Francois THEMINES for the ESO-Caen, the ESO branch at the Universite de Caen Basse-Normandie, where YI, a research Fellow at the Northeast Asian History Foundation, wrote the thesis that provides the elements for the South Korean case in the article: "Une discipline entre nation et empires : histoire de la géographie scolaire en Corée, 1876-2012" ("An academic discipline between nation and empires: history of school geography in Korea, 1876-2012"). Professor Jean-Francois THEMINES works at the Maison de la Recherche en Sciences Humaines (MRSH - Universite de Caen Basse-Normandie - CNRS), where he contributes to two programs: ESO-Caen and CERSE (Centre d'Etudes et de Recherche en Sciences de l'Education). 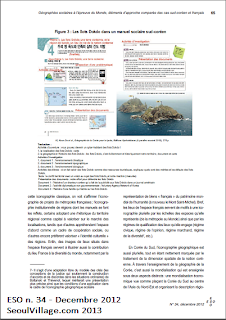 Now about that Dokdo thing. Saangkyun YI doesn't seem to hide his sympathy for the Dokdo cause in his own posts, and I respect that transparency**. I also think that mentioning Dokdo and the way it is treated in Korean geography textbooks is relevant for this article. The question is: is the article fair about the issue? The answer seems to be positive. 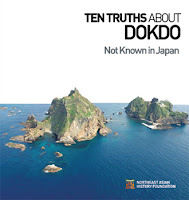 If the words "Takeshima" or even "Liancourt" don't appear anywhere, the Dokdo islets seem properly presented ("considered as hers by South Korea" (...) "but Japan claims their sovereignty"). Note that they are "situated off the Eastern coast of the Korean peninsula", which conveniently skips the "East Sea - Sea of Japan" part of the equation, even if it doesn't leave a clue about the relative position of Japan. Furthermore, Pyongyang is only mentioned once in the text compared to half a dozen times for Dokdo. Does it mean that the city is only used as an alibi for an article meant to push the Dokdo agenda? 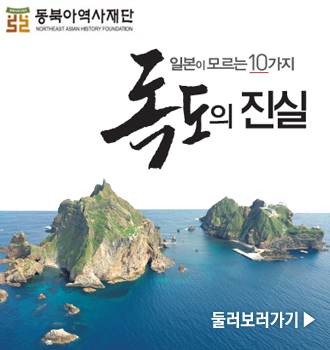 No: this is not an article about Dokdo, but Dokdo illustrates perfectly "a logic of state school iconography" (consistent with the not very "post-national" instructions from the Ministry of Education also quoted here***), compared to the more classic and positive presentation of Pyongyang. But let's not start a hair-splitting contest by decrypting potentially asymetric iconographies in a study of the history of selective iconographies. I was simply showing how difficult it is to manipulate such sensitive topics, and here, the editorial line respects a scientific approach: this article certainly cannot be seen as a promotion of Korean interests, and it doesn't solve the Dokdo conflict either, because that's not the subject. 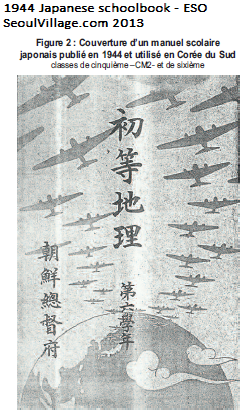 That Korea was led to beef up its nationalist rethoric, that's a problem. Revisionist textbooks in Japan, armies of pseudo historians and geographers in China rewriting history and redrawing maps, that's a bigger problem. Terminating the Truth and Reconciliation Commission, Korea, turning school history into a simple option, and allowing creationism in school****, that's not a small problem either. Time to build a future based on a mutual respect and understanding of the past. Time for a Global Truth and Reconciliation Network*****. **** see "State-condoned creationism in Korea? 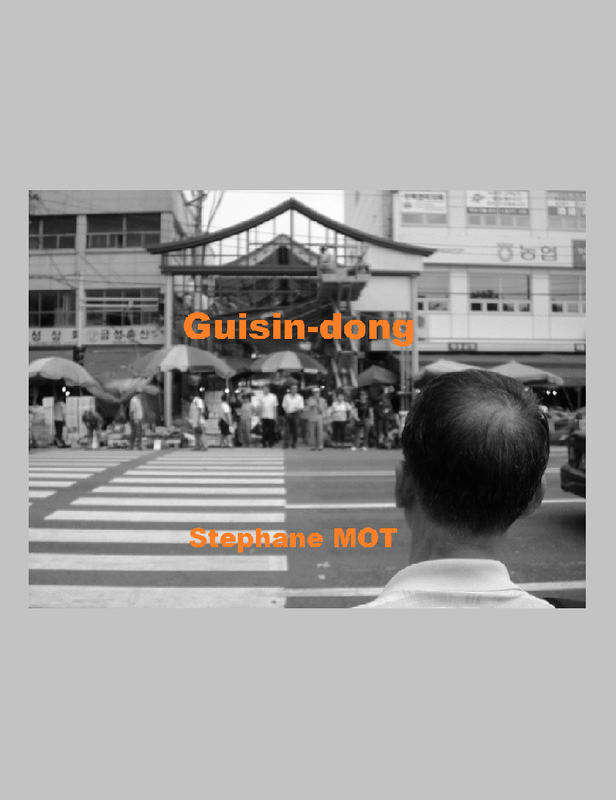 A cold-blooded murder against King Sejong"
***** see "We reject as false the choice between revisionism and nationalism - for a Global Truth and Reconciliation Network"